There is a huge potential in mobile apps for sales & marketing nowadays. With the help of such apps we can eliminate a lot of useless daily routine. What are these apps we are talking about, and why are they so convenient and easy to use? When you work in marketing, you have a lot of on-going things to deal with; you have to collect and process huge amounts of data, following up with people on e-mails and other message services; sometimes you have to collect data offline at a trade show or a conference, and you must do all of that quick and efficient, saving company`s time and money. 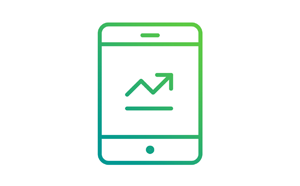 The more data you collect, the more paper you use, but if you switch to a mobile business application, you will reduce pa per usage to a minimum. The thing is we live in a modern age now; you can do all different kind of activities using nothing but your mobile device, so what is the best way to engage in this race of modern technology in no time? To build a mobile business app, of course! To be precise, an app, built with no programming at all, to facilitate the process of developing and saving a decent sum of money would do just fine. What kind of Sales and Marketing app do we need to start luring people with a wave of a magic wand? According to a study by Hipcricket, mobile marketing is growing fast, involving more users every year. 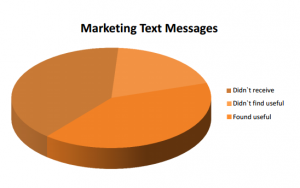 They report that nearly 66 percent of respondents have received a text message from a brand, and 45 percent found that useful. It is easy to observe that marketers consider mobile platform as a needful component of the marketing operations. Here we are talking not only about general promotional messages; also it is vital to stress the point on such a case as personal promotional messages. Most of the surveyed people stated that these messages still don`t feel very personal, they look more like spam and aren`t relevant to their interests. Why is this happening? Nearly forty-one percent of participants said they were ready to share more information with companies via mobile apps. The lack of such information produces these strange “personal” notifications and messages. You can`t make a beneficial offer without having a database of clients` preferences. With the help of this data, we can develop an algorithm to send out more personalized, customer-oriented messages to boost up people`s interest in your company or brand. Whatever business you have, it is always good to have a mobile business app, but for what purpose? Honestly, the variety of choices is infinite. You are able to build one with no coding at all. You can`t even imagine what people did with the help of mobile apps. Remember that time when you actually had to go to the movies to buy a ticket first, or they could simply ran out of them, so you didn`t get one. But those times are long gone. Now you can buy a ticket in advance, and all you need is a mobile device. The Fandango app, a pioneer in this field whose app has been downloaded by 21 million people, is a good example of such practice. Back then, nearly 19 percent of the tickets for Harry Potter and The Deadly Hollows, Part 2 were sold via this very app. If you are a movie theater owner, you are able to build such an app yourself to increase the sales. A low code mobile app platform is a great option for saving your money and to get more. You do not have to pay programmers a fortune, nor should you wait for ages to get a beta to test. It is this simple, a fully working app in a few days or DIY. Here comes another good example. We all know The History Channel. They paired with Forsquare to promote their TV documentary America, the Story of Us. The Channel realized that check-ins could provide a way for the network to connect with potential viewers, so they put up tips within the app with peculiar historical facts about every other location. This educational opportunity is a good example of a welldeveloped marketing practice, conducted by a proper use of a mobile service. 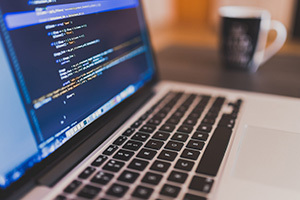 Although Forsquare has a complicated coded app, there is a way to build such an app yourself with the help of an environment like Snappii, providing a low code, no programming approach for building data-rich, complicated, user-friendly apps in no time. Recently, a great number of such mobile business codeless app platforms have emerged. Is there a need for such platforms? Yes, indeed. According to a recent Gartner research, traditional development practice is no longer effective for mobile apps. These practic es are more suitable for desktop applications; mobile development is more agile and user-oriented. It differs from classic development cycle in many ways: rapid testing and development practices, smaller screen sizes, a shorter application life span, and on-going updates. Userfriendly environment is a must too. “Letting the users experience what the application will look like and building the screens on the fly with the appropriate tools will ensure that the initial build of the app looks familiar to the users and is close to what they’ll need once the application has been piloted or deployed,” said Mr. Van Baker, research vice president at Gartner. Honestly, this is something great in building an app yourself. It is even easier with Snappii. All you have to learn is our WYSIWYG platform to start making great things. If you just want a low code app for your business, our qualified app-builders will do this for you. We cover any business, from the retail to the oil and gas and construction industries. Promote your company, establish a network of your most dedicated clients, share useful news, conduct awesome campaigns and win loyalty of your customers. A modern, convenient, and no code app is able to change your business for good; you just need to know what you want. We can do the rest. We invite you to try the Snappii Platform yourself. Simply visit us at http://www.snappii.com, click the login button in the upper right hand corner and create your own account. You will have free access to the platform for 45 days to see for yourself.